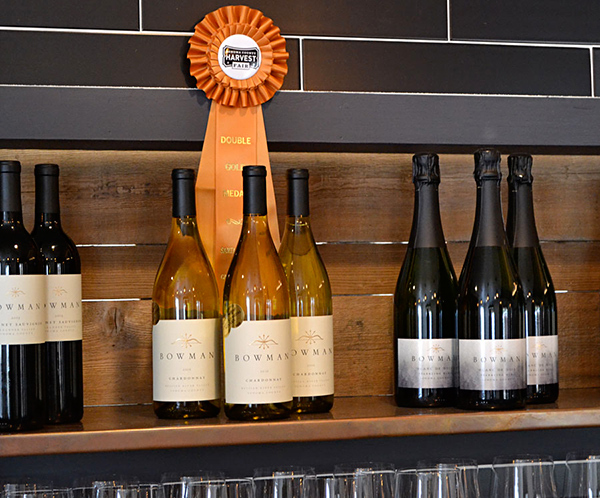 Graton's Bowman Cellars offers great atmosphere and even better wine for your next tasting experience. The town of Graton is tucked away in Green Valley a half mile from the main road from Sebastopol to the Russian River, but once you find one-block-long downtown Graton you can’t miss its welcoming new cornerstone business, the fortuitously located and comfortably appointed Bowman Cellars tasting room. 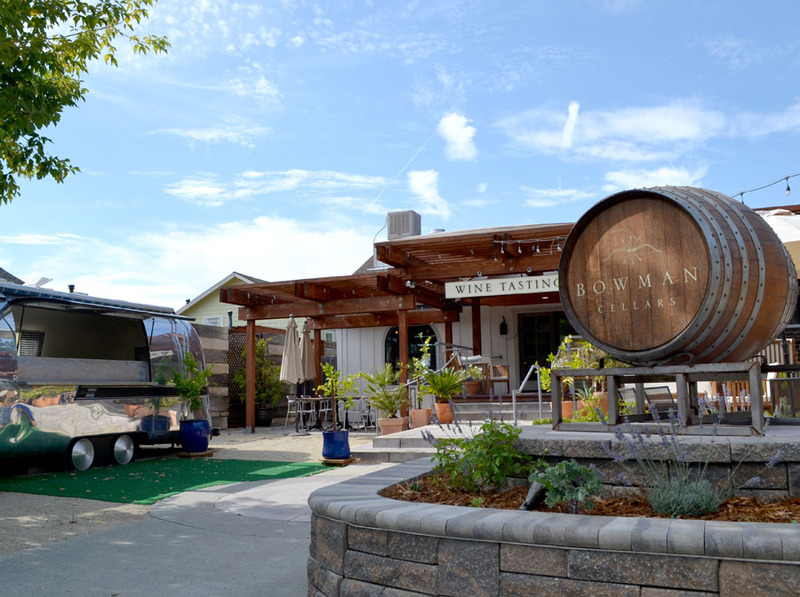 Here’s the brief on Bowman: small selection of well-made wines, comfortable lounging both inside and out, and small bites from a fully licensed kitchen — among this site’s various incarnations, it was previously a restaurant. A lot of winery stories begin far from the cellars of wine country, with some old bottle of Burgundy uncorking a latent passion for the good dead grape. Bowman Cellars founder Alexander Bowman says he became entranced with wine, eventually, while working in one winery after another. Alex’s family runs Bowman Electric, and he was well on his way to a career as an electrician, installing systems in Sonoma County wineries, when he began making wine as a hobby but sort of inadvertently took the plunge when he agreed to trade an electrical job for three tons of Cabernet Sauvignon grapes. Without bothering readers with the math, suffice to say that’s a lot more Cab than a person can reasonably drink themselves or give away to friends and family. But with family know-how from his aunt, who had worked at Frog’s Leap Winery for many years, and support from his wife, Kate Bowman, whose grandfather founded Andy’s Produce Market (a West County institution, it’s a produce stand and gourmet natural foods grocery located up the highway in Sebastopol) Bowman launched his winery with the claret-like 2013 Cabernet Sauvignon ($38). 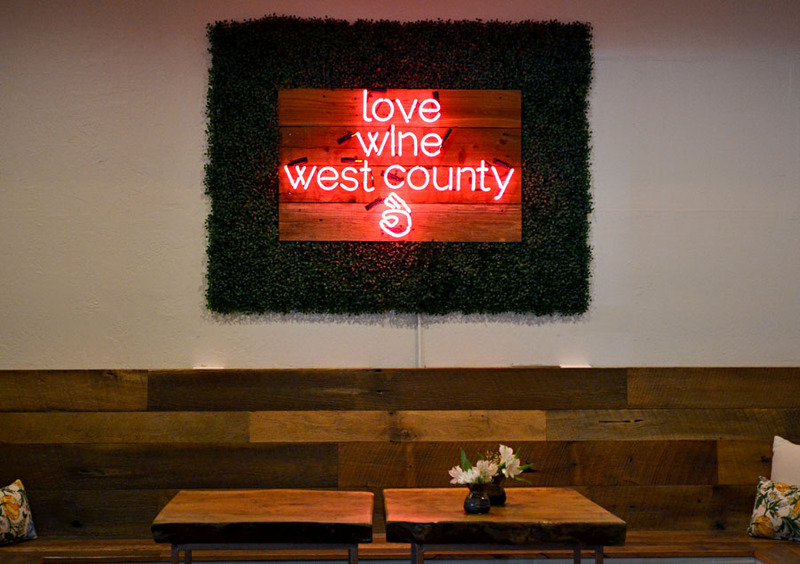 The Cab was a hit, and recently they got some buzz for their Chardonnay, but the location’s the thing at this tasting room, which has seating options aplenty and a smartly landscaped front patio, shaded with umbrellas. Twice a month on Saturdays, pop-up chefs serve gourmet bites, and wine is served from a shiny, converted Airstream trailer. Nosh like truffle cheddar grilled cheese, house chips, and a cheese plate are available other days. The starter is a raspberry scented, nicely chalky and creamy Blanc de Noirs sparkling wine ($38), and the main focus is the toasty, rich but nicely balanced 2016 Russian River Valley Chardonnay ($32) and the very pretty, red-fruited 2016 Russian River Valley Pinot Noir ($42), accented with vanilla and tea leaf. But the wine to drink now, and often, is the light, sur lie aged rosé of Pinot Noir, $8 per glass poured right from the tap, or $25 a bottle, freshly filled to take away to your next summer’s day lounging mission. ($4 refill discount when you bring back the container). 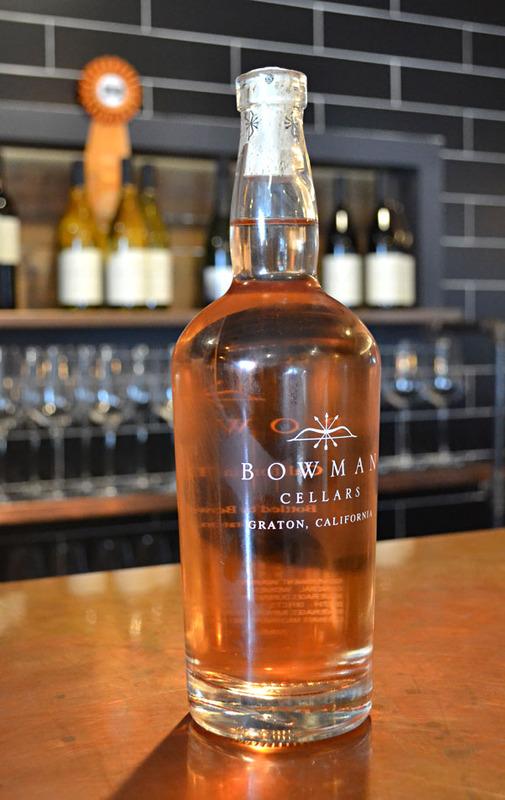 Bowman welcomes musical guests regularly, and hosts special events, like the Sept. 14 co-winemaker dinner with Jaclynn Renée Wines ($95), and the Sept. 22 wine-flights-and-bacon pairings presented collaboratively with Sowbelly Sustainable Farms and Harvest Card ($99). Bowman Cellars, 9010 Graton Road, Graton, 707-827-3391. Open Thursday–Sunday 11am–6pm. Tasting fee, $15.